Thousands of artificial hip replacement surgeries are performed yearly. Hip replacement may be necessary if activities such as walking, sitting, or even resting become painful. For more information on hip replacement click here. If you are experiencing hip pain call us to schedule an appointment with one of our physicians today at 304-599-0720. 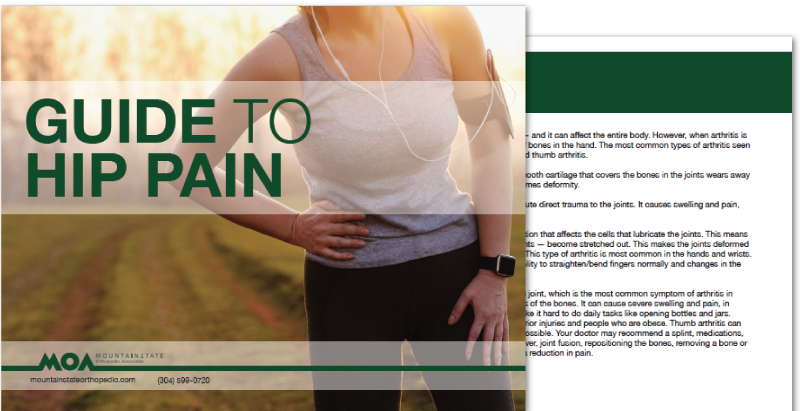 Fill out this form and receive our new free guide to hip pain! Learn about when you should have a doctor evaluate your hip. 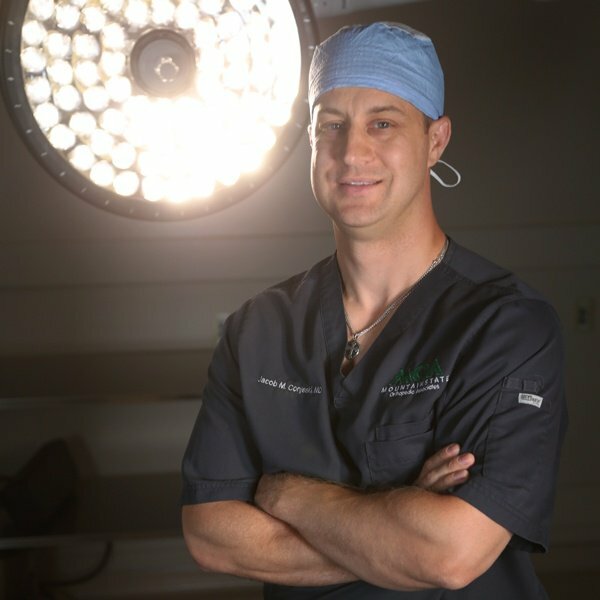 "The benefit of an anterior approach total hip replacement is that you have a faster recovery because it is a muscle sparing technique. Our patients are back to regular activities at a quicker time compared to traditional techniques. This procedure allows us to provide a state of the art technique to the Mountainstate." Don't let hip pain get you down.